We are back online after 3 days without power! Anchorage had a major windstorm on Tuesday night that caused a lot of damage around town. It's amazing how a storm can unexpectedly turn things upside down. Luckily we had no major damage at our house, although many of our neighbors lost trees. I was back at my machine this morning to finish up my June block for the cocorico bee. This is for Amy, who asked for blocks with an art studio theme. 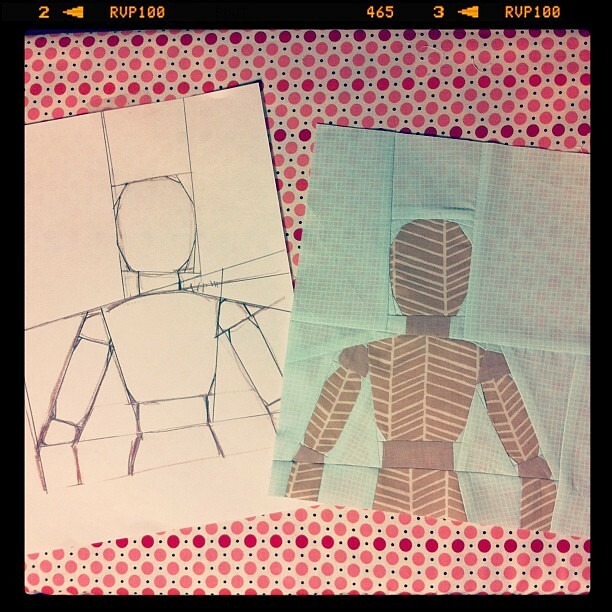 I chose to do an artist's drawing mannequin. It's a bit awkward, and been said to resemble C3PO if sewn in gold lamé (thanks Krista). But I'm glad I was able to tackle it. Last week I also completed a much overdue block (due in April!) for Charise. She asked for houses with a Victorian style. I was able to fussy cut fabrics to add more detail. I feel like I'm finally starting to get this paper piecing stuff! I hope you're having a great weekend! Back to the sewing room. I've got some catching up to do. These are amazing Krista! Love them! I think your mannequin is awesome. It's the jaunty position of the arms and angled head that immediately reminded me of C3PO's posture! Your definitely in a groove! These are both awesome blocks and I am so glad that one of them is for me! Thank you! I love my mannequin. Could you do a Tutorial about how on earth you go about this? perhaps something slightly more simple....These are sooo amazing, especially the man!!! but I cannot even begin to figure out how you would go about doing this!!! In any case this is a perfect block for an Artist Studio theme. 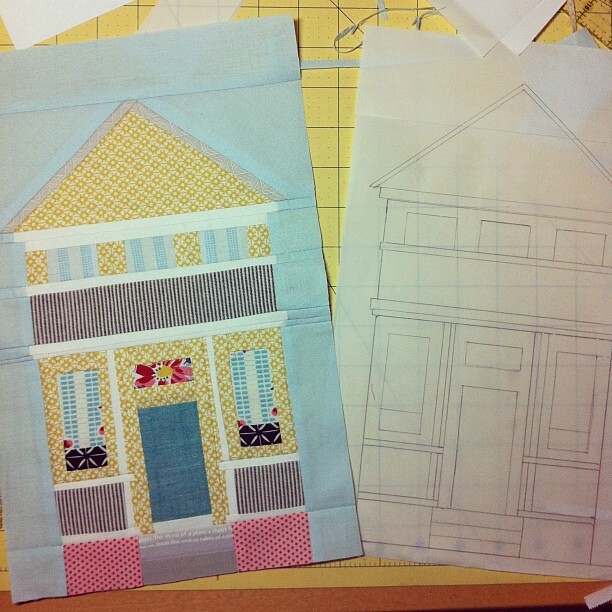 Your paper-pieced blocks are just getting better and better! Love these blocks so much!